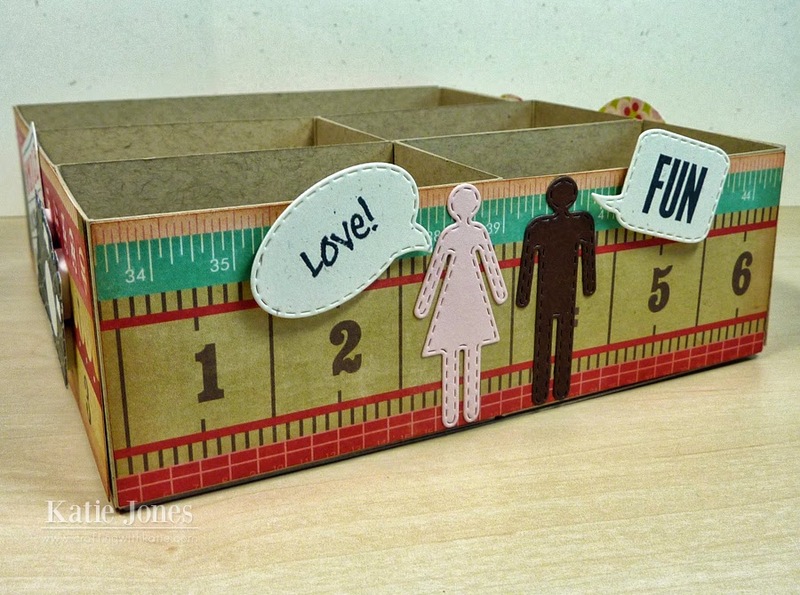 It's 3-D Wednesday with My Creative Time, and I have a really fun and useful project today! I made Lori Whitlock's 3D Vertical Journaling Card Storage Box from the Silhouette Online Store to hold my Project Life cards! I used Papertrey Ink kraft cardstock to make my box extra sturdy and then lined it inside and out with Echo Park's This & That Graceful paper. One thing I love about Lori Whitlock's designs is that she usually has assembly videos on her YouTube channel. You can see the one for this box here. I had fun using lots of My Creative Time goodies to decorate the outside! On the front, I placed some cute peeps made with the Stitched Restroom Peeps Dies. The girl has part of a sentiment from Just Simply Live stamped in a Stitched Round Speech Bubble, and the boy has a Things I Love sentiment, stamped in a Stitched Square Speech Bubble. 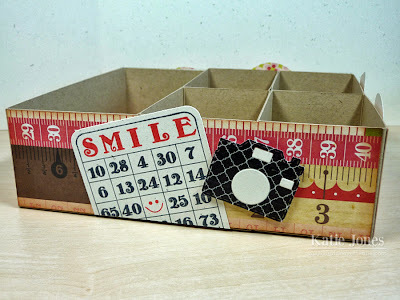 On this side, I pulled out an old favorite, Anyday Bingo & Crossword, and made a bingo card with a fun little smiley face from Things I Love stamped in the center. See that cute camera? My sweet friend Kim made that for me out of wash tape and the Stitched Camera Die. I used the Stitched Fun Tickets and Stitched Heart Layering Dies on this side, along with another sentiment from Things I Love. The cute circle emblems were just circle punched from the Graceful paper. 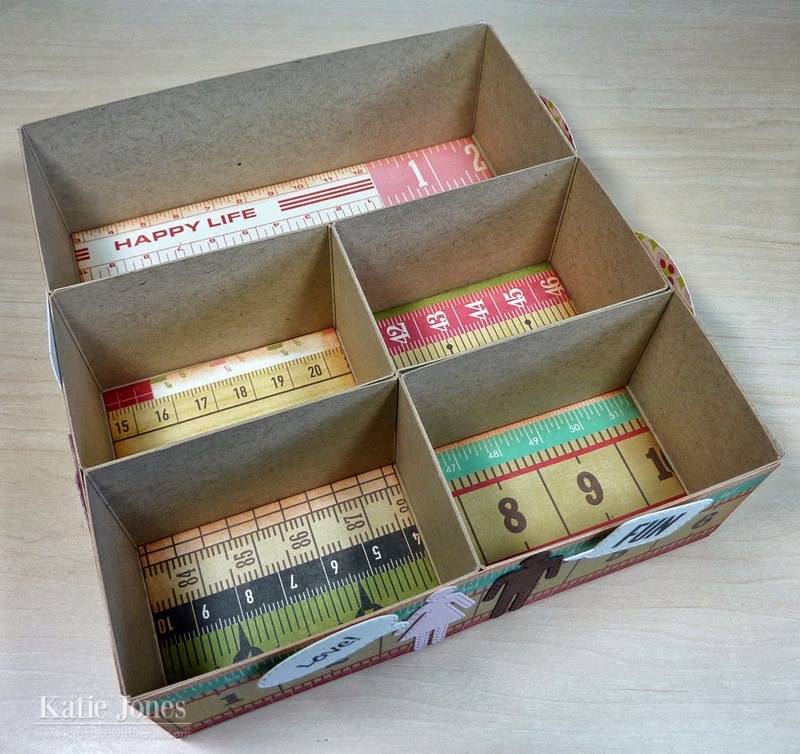 I'm very excited to have a cute box to hold my Project Life cards and inspire me to get caught up on my pages! Be sure to click on the link below to see what Emma and the rest of the design team have for you today! What a neat idea. Gosh you did an awesome job making your box and decorating it. You are very clever to come up with this idea and love how you used Miss Emma's goodies. Katie ~ OH my you know how much I LOVE this idea! Seriously!!! That box is so dang CLEVER and CUTE! You decorated it PERFECTLY too! 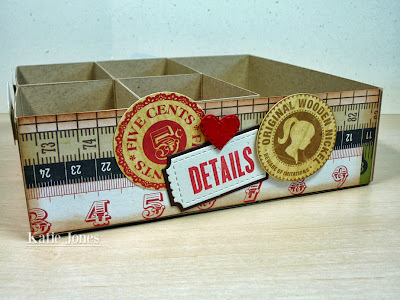 Great use of the MCT dies and stamps. Plus I love that paper!!! Then you go and do the inside too! BRILLIANT idea that I am totally stealing from you! This is AWESOME!! 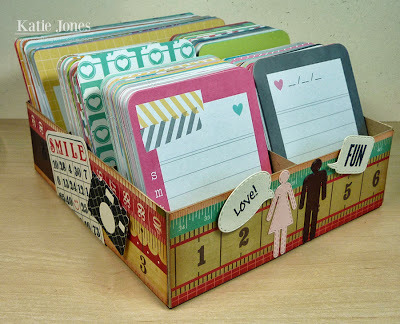 What a great idea to store your cards in and I love all the added MCT stamps and dies you used to embellish!! this is soo cute! I really need you to come over and organize my space with cute projects! We all need storage and organization. You have found a good one and how you decorated it up is so fun. Super job!